Is your child obsessed with Minecraft? Do you find it difficult to maintain health screen time limits? The KoalaSafe parental control router makes parenting easier and kids healthier. This wireless router works on all devices. Not only is KoalaSafe for your desktop computer, you now have tablets with parental controls. It's a tool for parents to set up internet time limits, block inappropriate apps and sites, and see analytics of where kids spend time online, across all devices in the home, controlled by a simple smartphone app. Installed in seconds, the KoalaSafe router gives parents complete control over their kids internet using the free App - **Download from the App store and try the demo before ordering** With the KoalaSafe router, parental controls are no longer a thing to lose sleep over; and unlike most parental control routers, you do not have to pay for a subscription! 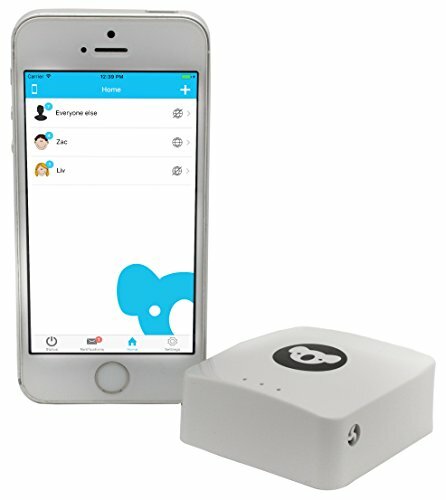 The KoalaSafe wireless access point allows for parental controls and insights into their child's internet usage. If you have any questions about this product by KoalaSafe, contact us by completing and submitting the form below. If you are looking for a specif part number, please include it with your message.